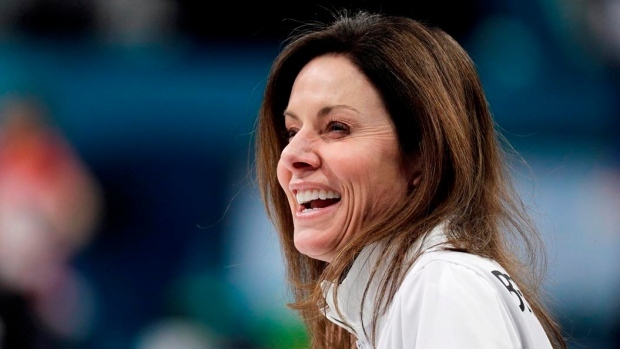 CALGARY — Curling allowed Cheryl Bernard to become not just a successful Olympic athlete, but a businesswoman. Those two qualities landed her the job of president and chief executive officer at Canada's Sports Hall of Fame. The 51-year-old Calgarian takes over her new post June 18. "It's not very often you get to do a job that really means something internally to you and you believe in so much," Bernard told The Canadian Press on Wednesday. The Sports Hall of Fame is located in Calgary at WinSport's Canada Olympic Park. It features 100,000 artifacts in a dozen galleries, as well as 657 inductees across 66 sports. Bernard built, operated and sold an insurance company before skipping Canada to Olympic silver in women's curling at the 2010 Olympic Games in Vancouver and Whistler, B.C. Few high-performance sports allow athletes the time to build those professional skills while competing. "Curling, as you know, has a long life," Bernard said. "I started a business up when I was young and I curled at that time. I had the opportunity to get my feet wet and start a business, create it and sell it and have all of that and stay in sport. "I think it was a real advantage I had both of those on my resume." Janice Smith has been interim president and CEO at the hall since Mario Siciliano stepped down last year. Even though Bernard retired from competitive curling in 2014, she showed the longevity of curlers by becoming an Olympian again in February as an alternate for Rachel Homan's team in Pyeongchang, South Korea. Bernard has also been a television curling commentator for four years. She brings name recognition to her new job, which Bernard hopes will open doors for her to put her business acumen to work. She's got plans for the hall, which will cost money. "I'm going to go out and see if we can't start bringing the hall to Canadians, if we have some opportunities to set up some exhibits in different Canadian cities and share the hall," she said. "Not everybody is going to be able to come to Calgary and see it." Bernard also wants the hall to use its platform to bring about social change in sport, particularly around girls' participation. "I don't think you're looking any more at a shrine that celebrates the past," she said. "It's a window that can be used to show our youth what sport can give them. "What you get by participating in sport is not as important as what you become. When you stay in sport, the doors that open and the confidence that you carry, my biggest focus is the campaigns, the messages we can send as a hall." Bernard was inducted into Alberta's Sports Hall of Fame in 2016 and joked her new job is her way into Canada's Sports Hall of Fame. Recent curlers inducted into Canada's hall include Colleen Jones (2016) and Bernard's television colleague Russ Howard (2013). The 2018 class of inductees are diver Alex Despatie, football quarterback Damon Allen, four-time Stanley Cup champion Dave Keon, six-time world champion wheelchair racer Jeff Adams, Olympic cross-country skiing champion Chandra Crawford and the late Mary (Bonnie) Baker, who was the first Canadian to sign with the All-American Girls Professional Baseball League. Dr. Sandra Kirby, a sport administrator, activist and coach and indigenous sport organizer and advocate Wilton (Willie) Littlechild enter as builders.